What is the Generation SEND (GenSEND) concept and why should it matter to college ministers everywhere? In this episode, Steve Turner explains how this summer missions laboratory is transforming cities, accelerating ministries, and challenging college students to live their life on mission. GenSEND is a missional laboratory held during the summer for college students to learn how to live their life on mission. GenSEND takes place in one of the 32 SEND Cities located throughout North America. Students live together in a missional community in an area of the city where there is little to no gospel presence. They are coached in missional and church planting principles, which they live out over a six-week period. At the end of the experience, the GenSEND students write a church planting prospectus that is given to a future church planter in the city. About 40% of GenSEND students return and re-engage the city where they served. We live in a culture where missionaries have been considered a vocational role, but this is unsustainable and unbiblical. GenSEND challenges all students to leverage life on mission by living strategically in the city using the skills they have. 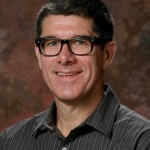 Steve Turner is the Director of Campus Mobilization at the North American Mission Board.